Kenner, LA – The First Tee National Golf Tournament Sponsored by Hancock Whitney Bank Presented by Acme Oyster House featured eighty-three 12-18 year-olds from across the country playing in a two-day golf tournament on Saturday, December 15th and Sunday, December 16th at Chateau Golf & Country Club. The host chapter from Greater New Orleans took home the 1st Place Team Award, along with several other top individual finishers. Rounding out the top three in the Team Awards were 2nd Place, Greater Austin and 3rd Place, Fort Worth. Top individual finishers included: Jake Griffin, Washington, DC, Boys 15-18 (+4), Cassidy Lambert, New Orleans, Girls 15-18 (+11), Logan Batiste, New Orleans, Boys 12-14 (+8), and Morgan Guepet, New Orleans, Girls 12-14 (+4). The two-day tournament featured boys and girls from The First Tee chapters in Atlanta, Austin, Baton East Rouge, Central Florida, Chicago, East Lake (Atl. 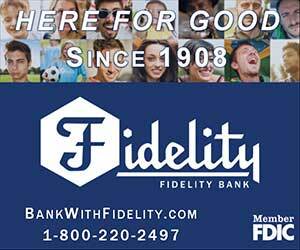 ), Ft. Worth, Houston, Knoxville, Los Angeles, Lowcountry (SC), Northwest Florida, Palm Beaches, San Antonio, South Central Wisconsin and Washington, DC. The First Tee of Greater New Orleans team was led by Outreach Coordinator, Brad Cooney, and The First Tee Coaches, Chad Radecker and Kyle Albright. The Greater New Orleans team included the following participants: Logan Batiste, Matt Bui, Morgan Guepet, Grace Jin, Cassidy Lambert, Kobe Narcisse, Zaire Stevenson and Vivian Volion. “We love having the opportunity to host this event – it’s great to bring in these fantastic young people from The First Tee Chapters across the country to New Orleans for a few days to get to experience our city. Hopefully, next year we can get The First Tee Chapters in Hawaii and Alaska to come join us!”, said The First Tee of Greater New Orleans’ Executive Director, Chip Patterson. The First Tee provides out-of-school time programs for youth ages 5-18 that teach character education, life skills and healthy habits, through the game of golf. For more information about The First Tee of Greater New Orleans and their after-school and summer camp programs, visit www.thefirstteenola.org. The First Tee’s spring after-school and weekend classes will begin in March 2019 at twelve local golf facilities and registration will open on The First Tee’s website in January. The First Tee program is open to any youth between the ages of 5-18 and scholarships are available for families who qualify to participate at no cost. 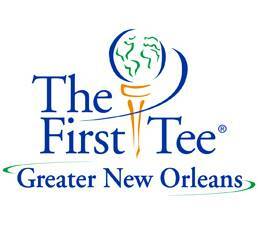 The First Tee of Greater New Orleans (thefirstteenola.org) is a 501(c)(3) nonprofit youth development organization whose mission is to impact the lives of young people by providing educational programs that build character, instill life-enhancing values and promote healthy choices through the game of golf. Operating its afterschool and outreach programs at over 60 locations, The First Tee of Greater New Orleans reaches nearly 30,000 young people on golf courses, in elementary schools and at other youth-serving agencies throughout the region.